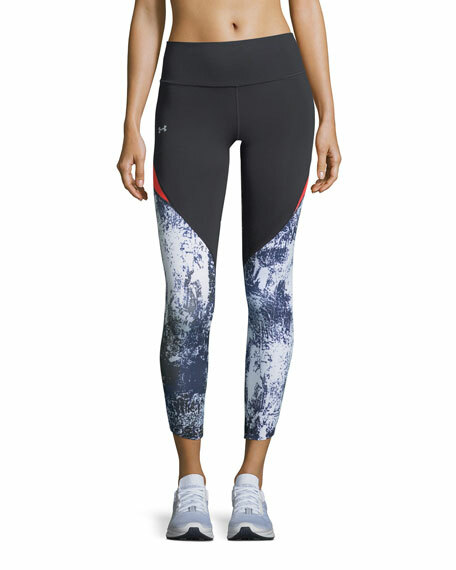 Under Armour "Run True" printed performance leggings. 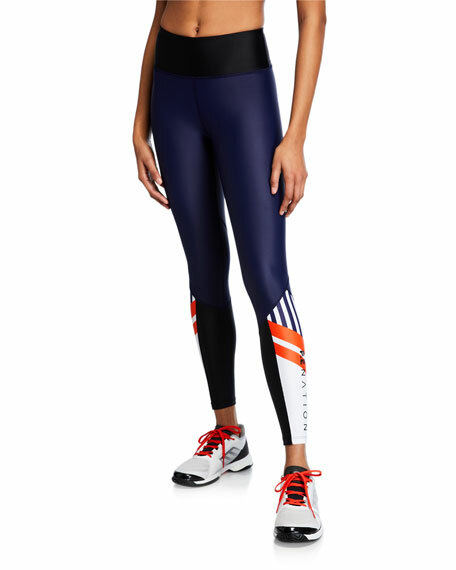 Ultra-tight compression for second-skin fit. Mesh insets for style and ventilation. For in-store inquiries, use sku #2299656. 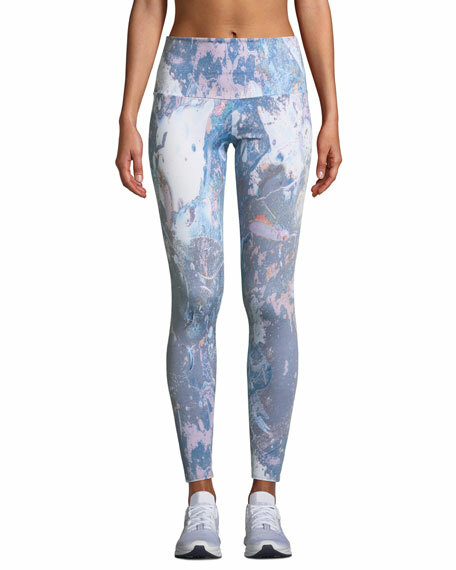 PE Nation "Ko" leggings in lightweight performance knit. Flat-locked seams for increased strength & durability. 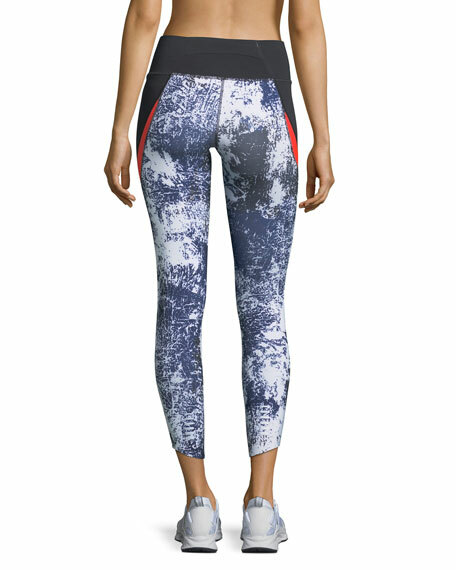 Printed logo panels at calves designed to contour legs. 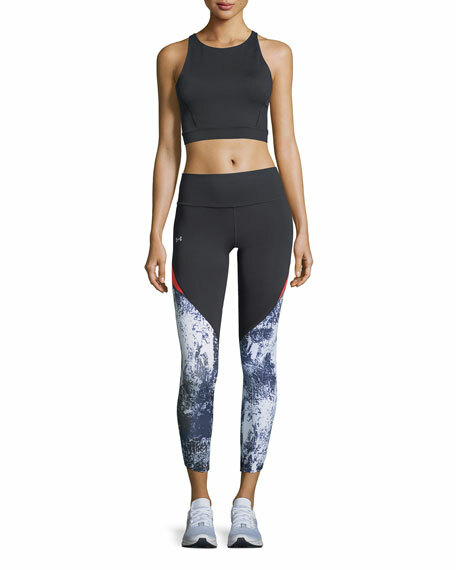 High-rise reinforced waistband. Second-skin fit. Ankle length. Pull-on style. Polyester/spandex. Imported. 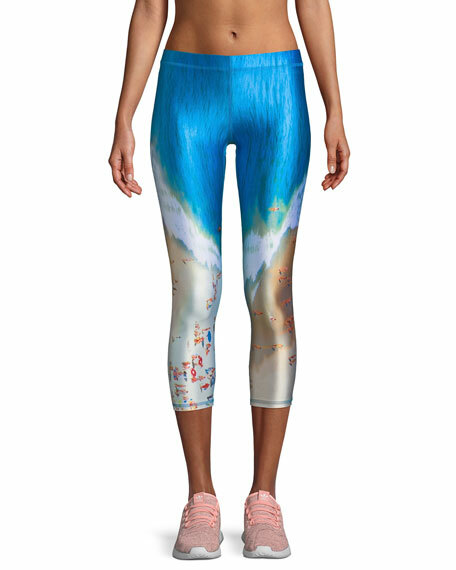 Terez beach-scene printed performance leggings. Approx. 21.5" inseam. Moisture-wicking, lightweight performance fabric. Band sits below natural waist. Second-skin fit. Capri length. Pull-on style. Polyester/spandex. Made in USA.